Violet is a wonderful flower. It has graced our flowerbeds, gardens and tables for centuries. Violet is also referred to as ordinary violet, sweet violet, garden violet and/or common blue violet. Generally, violet has been used in potpourri, candles, lotions, perfumes, bath scents and as décor. Violet has a long and loved history. The Ancient Greeks considered the violet as a symbol of fertility and used it in love potions. Isaac Newton listed Violet as the name for the color of the short-wavelength end of the visible spectrum. Most are familiar with Violet’s fragrance and color, but do not know the medicinal or edible resources of violet. The edible properties of violet include garnishes in salads, elements in jelly, and stuffings for poultry or fish. Dessert lovers can find candied violets as decoration or infused in aromatic desserts. Violet syrup can be produced from the extract of violets and used to make violet scones and marshmallows as well. Violets have been used medicinally for centuries. Therapeutic violets have been an old popular remedy for bruises, inflammation and swelling to ease pain in the body, jaundice, toothaches, epilepsy, insomnia, dizziness, pleurisy and many diseases of the lungs. A homeopathic tincture can be prepared from violet, which is useful for spasmodic coughs with labored breathing and also for rheumatism of the hands and wrists. Tea made from the violet plant may treat digestive disorders and new research has detected the presence of a natural aspirin in this plant as a medicinal remedy for headaches and body pains. In aromatherapy, the leaves of the violet plant are used to treat eczema. Violets can also be utilized as a compress, or as an ointment. Fresh violet flowers eaten in salads can have a laxative effect as well. There is some research as to whether violets and their extracts are useful in cancers and tumors. An experiment done in the 1960’s resulted in violet extract damaging tumors in mice, however, there have been no repeats of such studies. Historical citations for the preparation of fresh violet leaves have been used both internally and externally in the treatment of cancer. Violet leaves have been used with benefit to allay the pain in cancerous growths, especially in the throat and tongue. 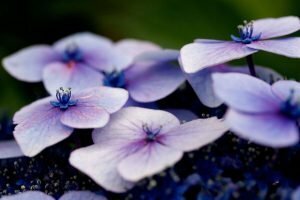 The next time you look at your violet plant in all its beauty, remember all of the useful purposes that history has found for it.